A tasting and tour of the Sipsmith distillery in Chiswick. 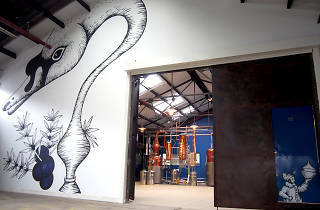 Sipsmith was the first of the new wave of London gin distilleries, planting its copper stills in west London in 2009. They run tours (£25 including a tasting of the range) every Monday, Wednesday and Thursdays (and the occasional Tuesday) from 6.30-8pm, as well as some Fridays from 4.30-6pm. 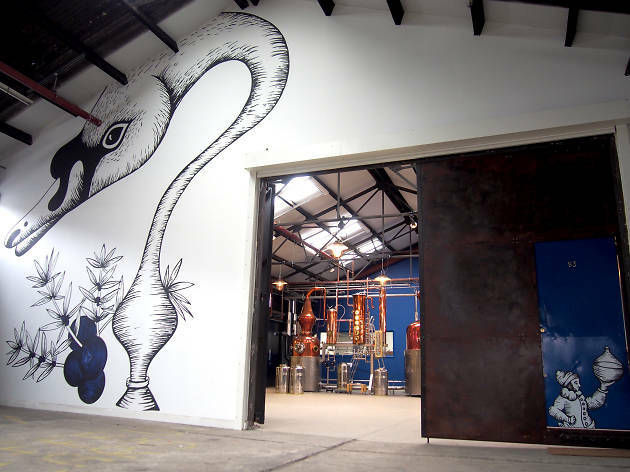 You’ll get a little history of gin in London, then tour the stills and have a tasting. For £85 you can try the Sipsmith Sipper Club, run in conjunction with Charlotte’s Bistro, nearby. You'll get a tour of the distillery, tastings, a three-course dinner at the restaurant and a 35cl bottle of London Dry Gin to take away with you. Wow! I was extremely impressed with this tour. Although the distillery is so small you can't actually walk around this adds to the amazement. I was shocked to learn that this small Chiswick location not only was the first Gin Distillery to be set-up in over 200 years but it caters for all international orders. My husband and I enjoyed an evening of gin tasting and a thorough discussion of gin history as a whole. The gentleman who took us for our tour is a fountain of knowledge and I highly recommend any gin-lovers to visit Sipsmith distillery as it wont disappoint. This is a great evening activity for a gin enthusiast. Its lovely to see how a smaller business is growing from the ground up, and to learn about how the history of gin has enthused the brand. Granted its not so much a tour, rather a shuffle with it only being in one room, but its great to see the distillers and testing lab right in front of you. The hosts very really enthusiastic and allowed time for questions, a long with a few cheeky tastes of the Sipsmith flavours! Not to forget the little extra treat at the end! A great way to spend an evening. Host is super fun, super knowledgeable and with great big measures of neat Sipsmith to try, plus a delicious G&T, it's no wonder everyone from our tasting group left in such high spirits. The Price is great, the distillery and the provided knowledge is super interesting and the ambiance is very friendly and personal. No time pressure and mainstream as I heard it about in bigger distilleries. Due to obligations I wasn't able to get my bottle of Sipsmith at the distillery, but thanks to marks and spencers I could take a gin and a sloe gin back to Germany. Both taste fantastic and still last till today as they are for special occasions only! What's not to love? Their gin rocks and the host is knowledgable, funny and usually pours large tasting measures! Highly recommend for a fun evening out. Did the tour last year and it was fun. I was really surprised at how small the actual still was. It barely looks big enough to keep even me in Sipsmith, let alone the entire market. You also get great booze knowledge from the passionate staff. A genuinely fun thing to do if you're a gin nerd.